For centuries the Dayak people of central Borneo have used the natural strength of the rattan vine to fashion working baskets made to last in an extreme environment . All the rattan vines are used including the waste vines that cannot be sold to factories in China. We have set up "Operation PLANET BASKET " to develop the rattan industry in the area and are working directly with the local communities who live on the edge of the rain forest in partnership with an important Ecosystem Restoration initiative (ERC) called the Katingan Project. The aim is to protect the forest by developing sustainable agriculture around the virgin rain forest and protect the forest from fire. Rattan cultivation and weaving in particular provides work and extra income for the local people who would otherwise practice illegal logging and be forced to burn the forest and clear land for palm oil cultivation. 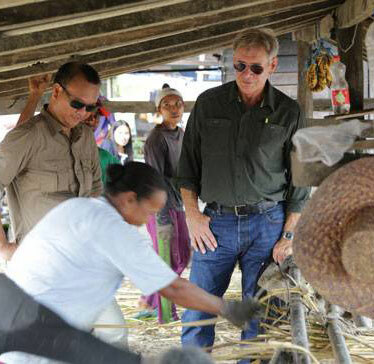 Harrison Ford visited the project in 2013 filming Season One of the Emmy award winning climate documentary called The Years of Living Dangerously and amazingly the following year we sold the very same baskets that Harrison had seen on his visit to Pinewood Studios in London and they appear on set in the opening scene of Star Wars: The Force Awakens. 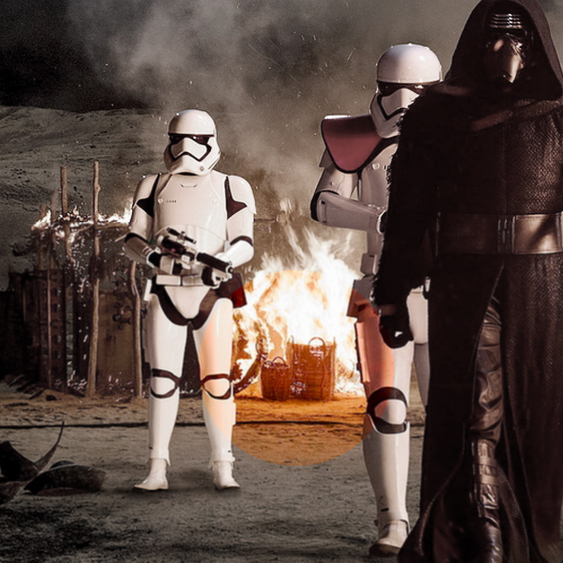 Watch out for them on fire in the market!